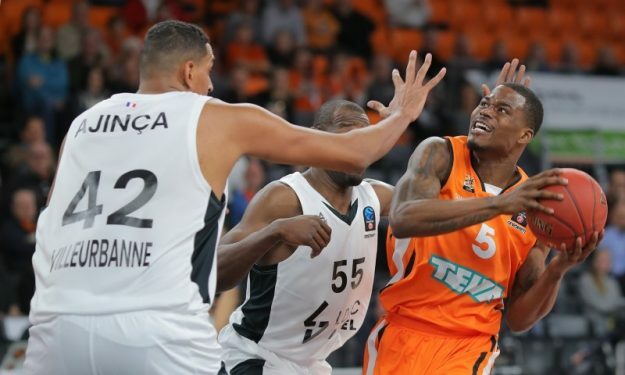 Ratiopharm Ulm didn’t qualify to 7DAYS EuroCup’s next stage, but Javonte Green put a nice touch on the Germans last game. Javonte Green’s high-flying efforts will not continue at the EuroCup level, but the 25-year-old American guard dunked his way up to the first spot in the EuroCup Top 16 Round 6 Top 10 Plays. Borisa Simanic, Eric Buckner, Isaiah Miles, Andrew Albicy, Vanja Marinkovic, Chris Kramer, Jonas Wohlfarth-Bottermann, Rokas Giedraitis and Deividas Sirvydis rounded up the field.